endfgmtoday October 17, 2017 October 17, 2017 at-risk girls, Federal Charges, Feminism, FGM, Legislation, Ohio, Press Release, U.S.
Ohio does not explicitly prohibit female genital mutilation — a practice that state Sen. Peggy Lehner, R-Kettering, wants to outlaw for girls under 18. “It is pretty evident that it’s an extremely painful procedure and it has life-long effects on young women, ” Lehner said. Lehner is sponsoring Senate Bill 214, which would make female genital mutilation of anyone under 18 a felony. Even transporting a child to a place that is going to perform the mutilation would be a crime. Violators could be subject to jail time, plus a fine of up to $25,000. The bill also says violators can’t use the defense “cultural or ritual necessity ” or consent by the child or her parents. Ohio is among two dozen states that do not prohibit female genital mutilation, according to the AHA Foundation. The practice has been banned under federal law since 1996 and in 2013 the law was modified to outlaw “vacation cutting ” — taking a girl overseas for the procedure. 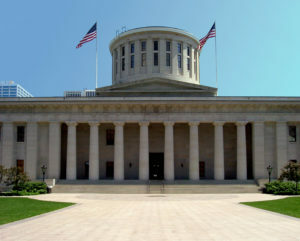 Female Genital Mutilation, FGM, Ohio FGM law. Bookmark.